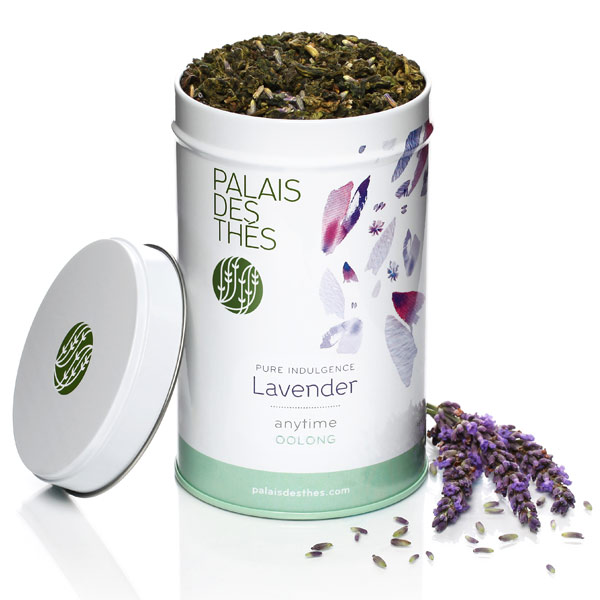 To commemorate the first day of spring, I decided to feature the newest teas released by Palais des Thés. The brand has introduced two new teas to the Pure Indulgence line: lavender and cinnamon. I'll start with the lavender, because it is the epitome of springtime in a cup. This lavender oolong tea is a breath of springtime air. The dry leaves have a strong lavender aroma that immediately relaxed me. I could feel the gentle springtime breeze and see the purple blossoms of Provence. After steeping, the tightly rolled leaves unfurl to reveal their deep green beauty. The lavender aroma is more subtle in the brewed tea along with a mellow vegetal note from the oolong. The tea's lavender flavor and mild vegetal notes are quite calming. It reminds me of being in a fancy spa, which is a 'pure indulgence'. This is a comforting, well balanced tea that would be refreshing iced. While the lavender tea relaxed me, the cinnamon woke me right up. The dry leaves have a sweet and spicy cinnamon smell. I am so glad the flavors are all natural, since I have tried cinnamon teas in the past that contain artificial flavors. This tea also has the leathery aroma I associate with pu erh, something I have grown to love. The brewed tea is smooth, and the cinnamon flavor is much more muted than I was expecting, but pleasantly so. The pu erh sings loudly in this brew with woodsy earthy and leathery notes. 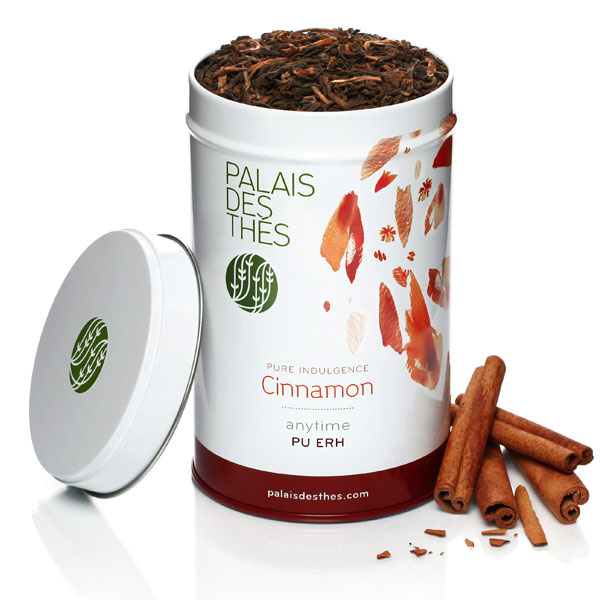 The cinnamon compliments the pu erh very well to create a smooth and satisfying brew. As with most pu erh teas, giving the leaves a quick rinse with boiling water before the first brew produces a smoother cup. Even though the cinnamon is subtle, the spicy hum lingers for a long time. It reminded me a little of eating Sichuan peppercorns. The only other flavored pu erh I've had recently is the ginger pu erh from Miansai Tea Bar which I also enjoyed. I may seek out other flavored pu erh in the future, to see how they stack up. If you enjoy the unique flavors in pu erh, I'd say this is a good choice to try. Thank you to Palais Des Thés for providing these two luxurious blends to taste! They definitely enhance the happiness of springtime!